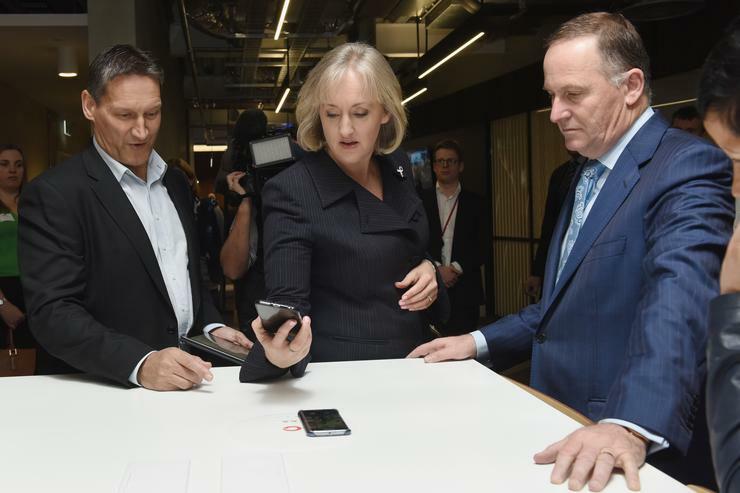 Vodafone CEO Russell Stanners, Communications Minister Amy Adams and Prime Minister John Key try a new smartphone charger during the opening of the InnoV8 building in Christchurch's Innovation Precinct. 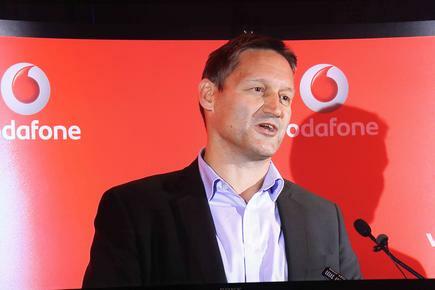 Vodafone has officially opened its Christchurch-based South Island headquarters, InnoV8, which CEO Russell Stanners says is the most technologically advanced office in New Zealand. “InnoV8 has been designed in a way that inspires and enables people to achieve more through mobile technology,” says Stanners, in a statement. Innov8 is the anchor tenant in the city’s Innovation Precinct. The 8,900 square-metre building comprises five levels of office space, a Vodafone Concept Store and cafes, and Vodafone’s global start-up accelerator programme Vodafonexone– one of seven around the world. “We are committed to Christchurch and this building demonstrates our participation in the rejuvenation of the community, and the city’s future potential as a technology innovation hub of the South Pacific," says Stanners. Staff swipe cards are a thing of the past at InnoV8 - with smartphones acting as personal “passports” to the building. InnoV8’s access technology also enables visitors to commence the registration process from 500 metres away, meaning their name badge and the person they are coming to visit are waiting for them when they arrive at reception. Smartphones act as control consoles for presentations, which can take place in any of InnoV8’s 24 digitally-enabled meeting rooms. Team members and guests can play presentations wirelessly through their smartphones. Charging pads are attached to each workstation, so there is less time wasted tracking down a spare charger when smartphone batteries are running low. The building has received a 5 Green Star Design rating from the New Zealand Green Building Council. “InnoV8 has been designed to promote natural ventilation and light for the wellbeing of our staff, and to conserve water and energy for the sake of the planet,” says Stanners.